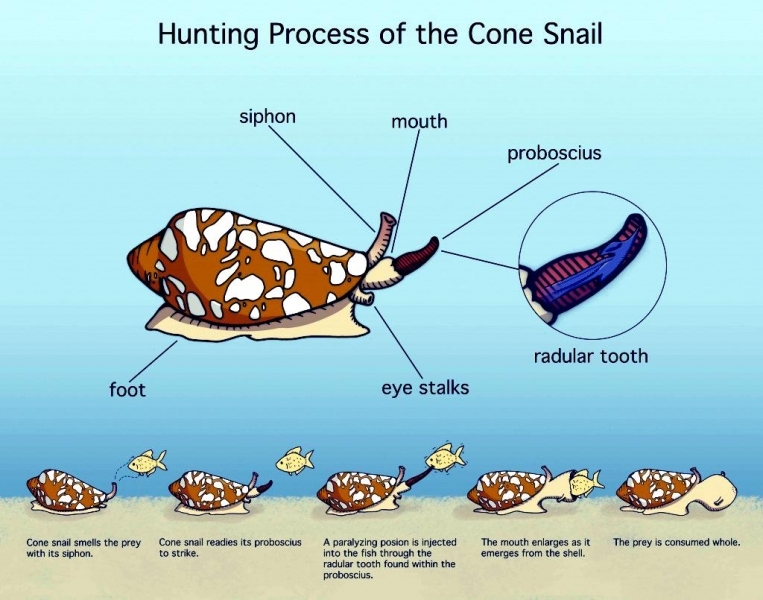 The Cone Snail is a large predatory sea snail and is also known as Conus, Cone Shells or Cones. 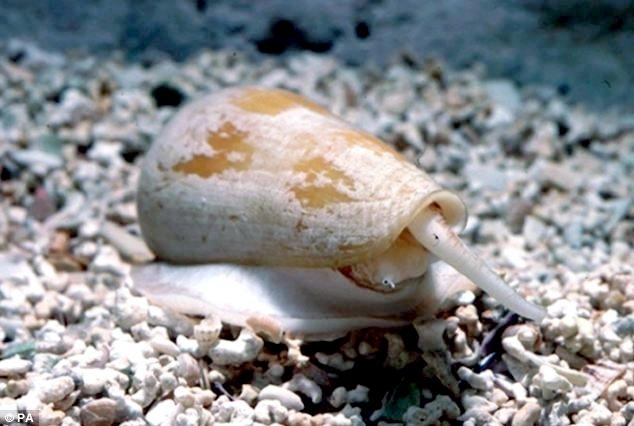 This genus is placed in the subfamily Coninae within the family Conidae. 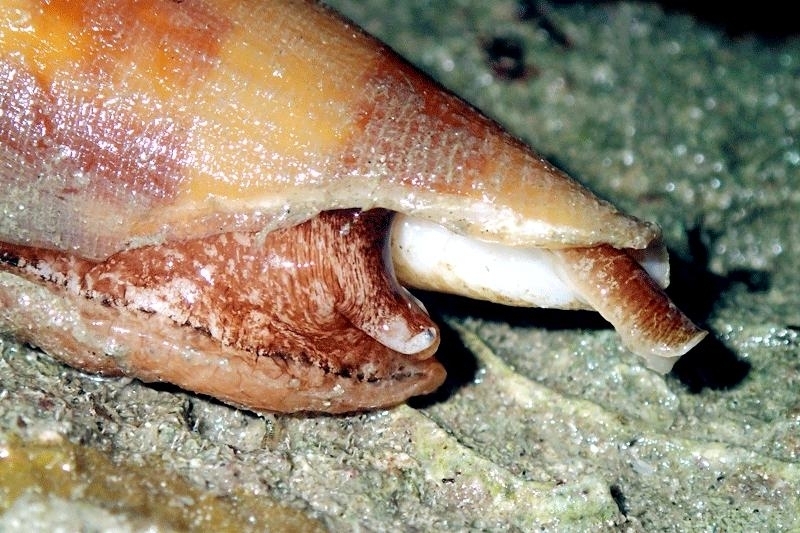 Geologically speaking, the genus is known from the Eocene to the Recent (Holocene) periods. 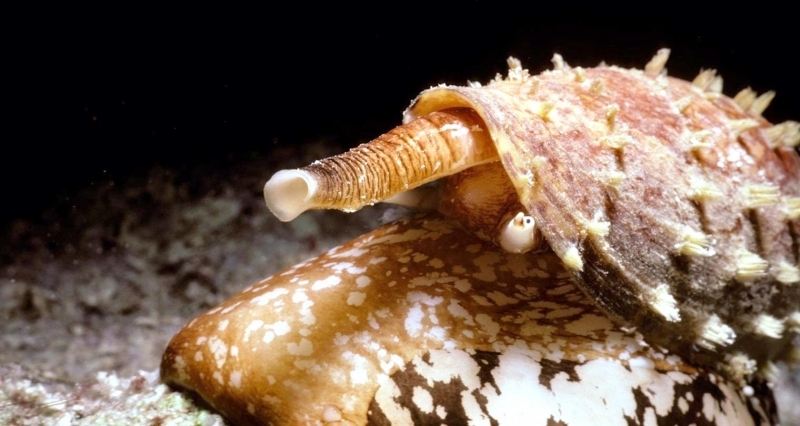 Conus species have shells that are shaped more or less like geometric cones. 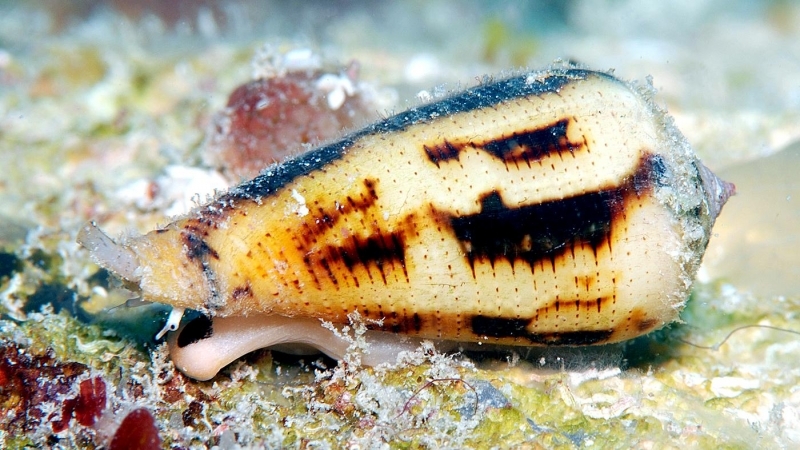 Many species have colorful patterning on the shell surface. 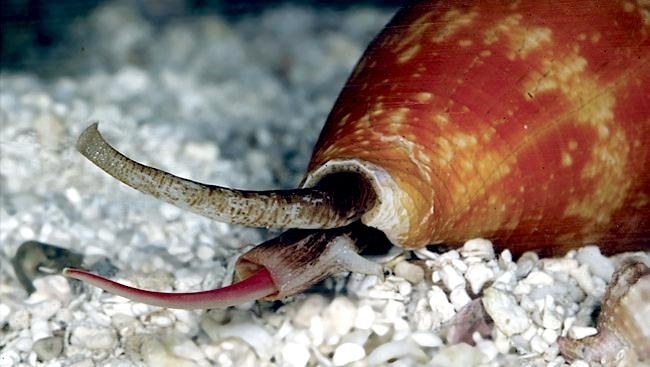 Cone Snails are mostly tropical in distribution and are venomous & capable of “stinging” humans. 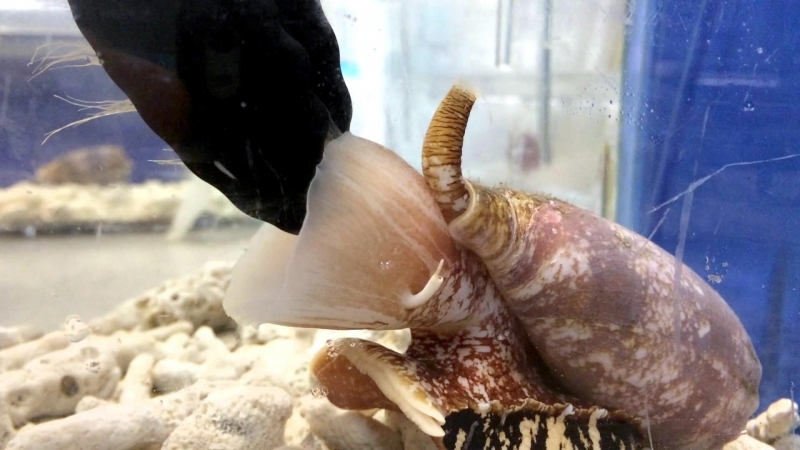 Cone Snails should be handled with great care or preferably not at all. 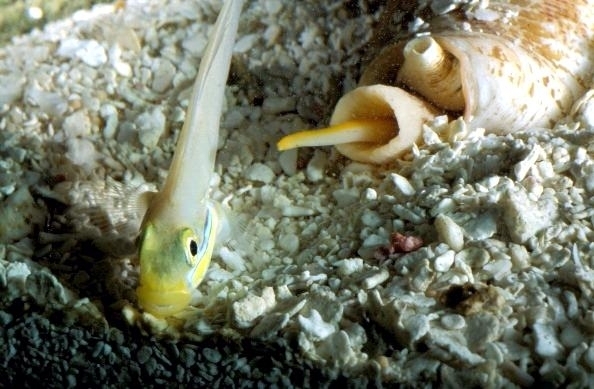 The species most dangerous to humans are the larger ones which prey on small bottom-dwelling fish; the smaller species mostly hunt & eat marine worms. 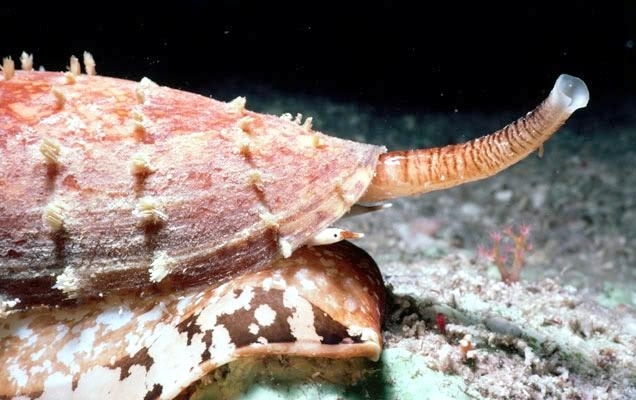 Cone Snails use a hypodermic-like modified radula tooth and a venom gland to attack & paralyze their prey before engulfing it. 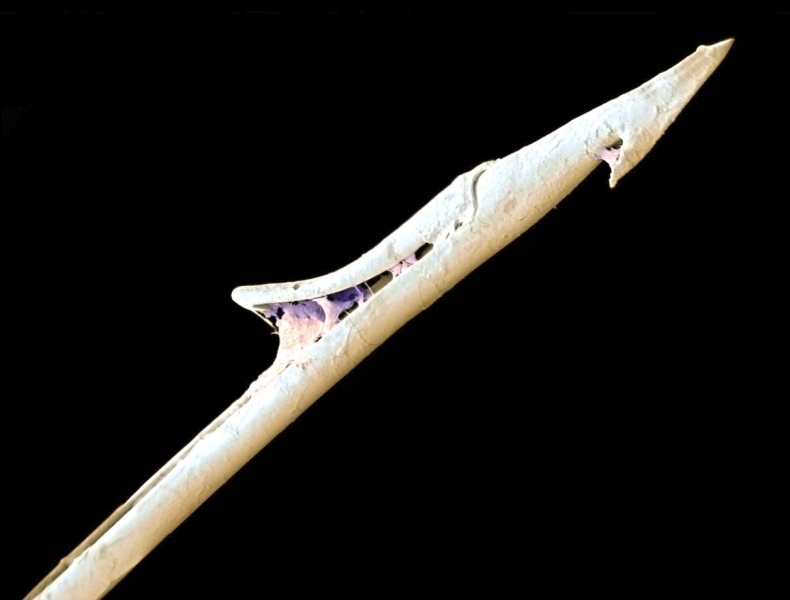 The tooth is sometimes likened to a dart or a harpoon. 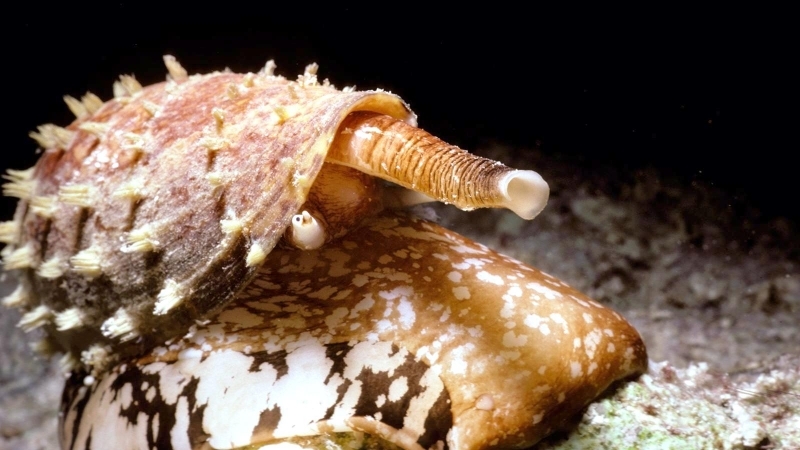 It is barbed and can be extended some distance out from the mouth of the snail, at the end of the proboscis. 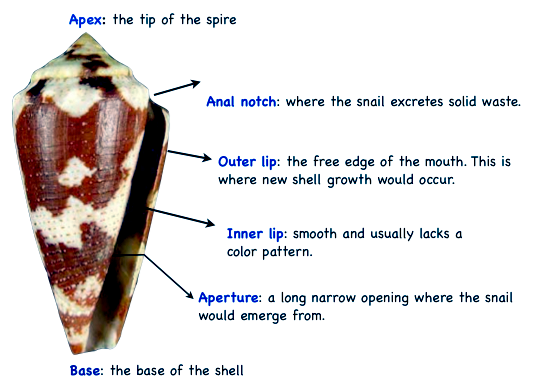 Cone Snail venom are mainly peptides. 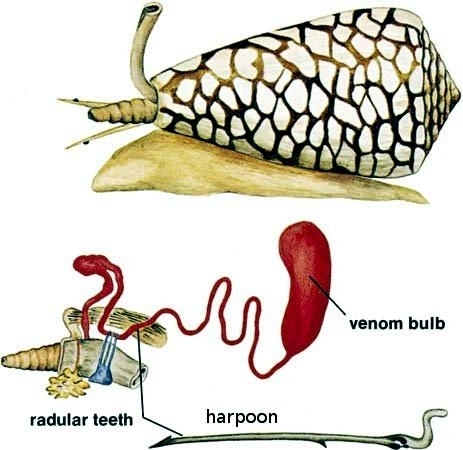 The venom contain many different toxins that vary in their effects; some are extremely toxic. 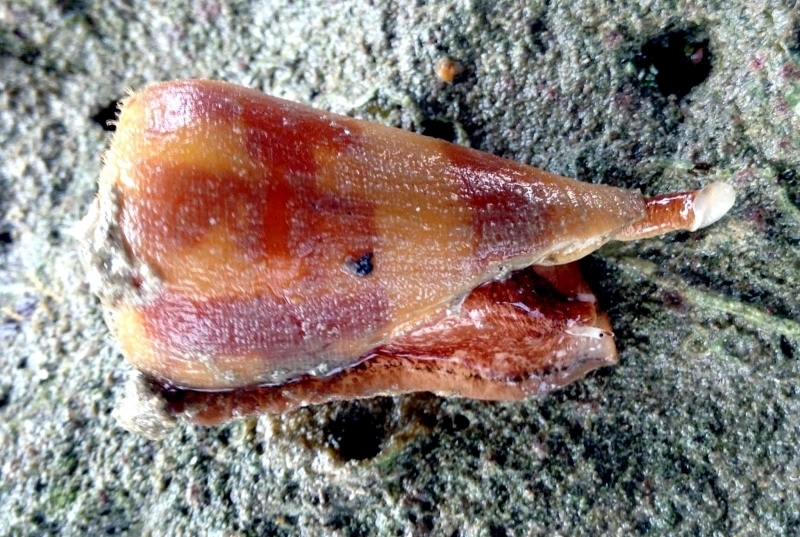 The sting of small cones is no worse than a bee sting, but the sting of a few of the larger species of tropical cone snails can be serious, occasionally even fatal to human beings. 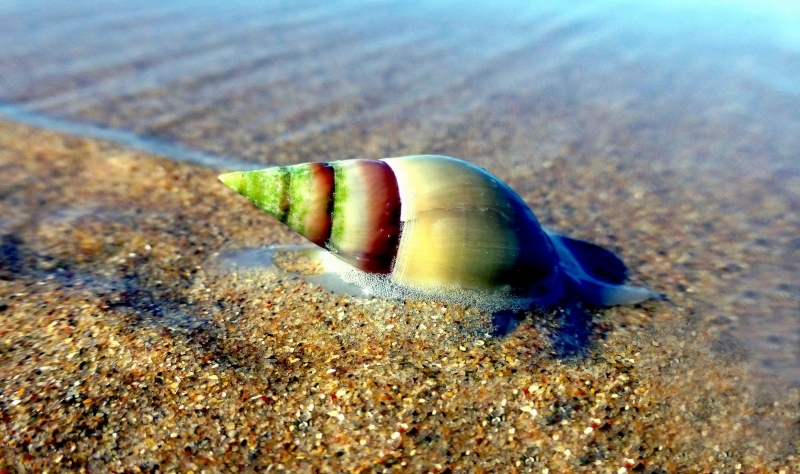 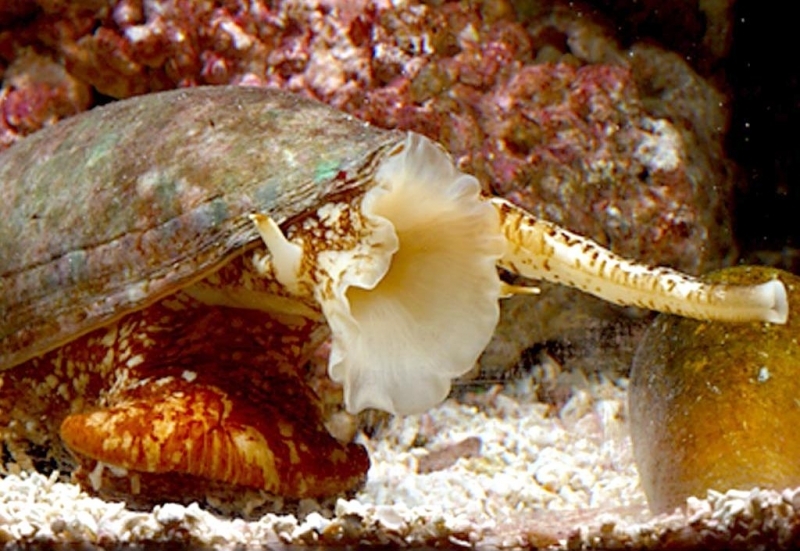 Cone Snail venom is showing great promise as a source of new, medically important substances. 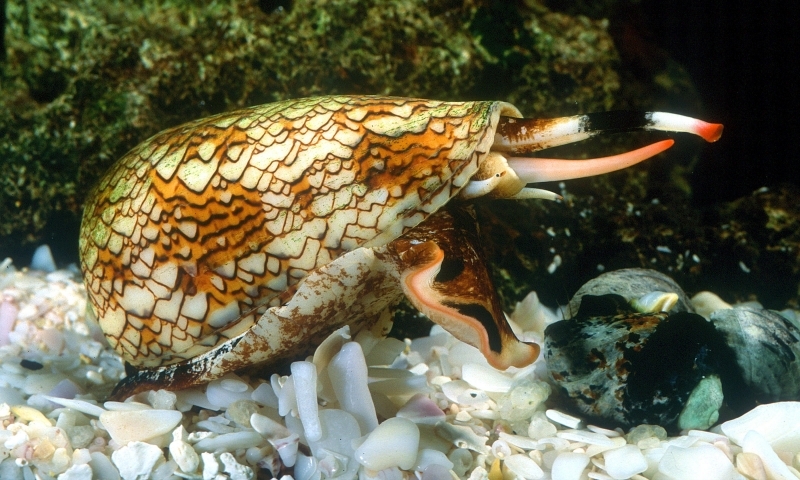 The Cone Snail is an unusual snail in more ways than one. 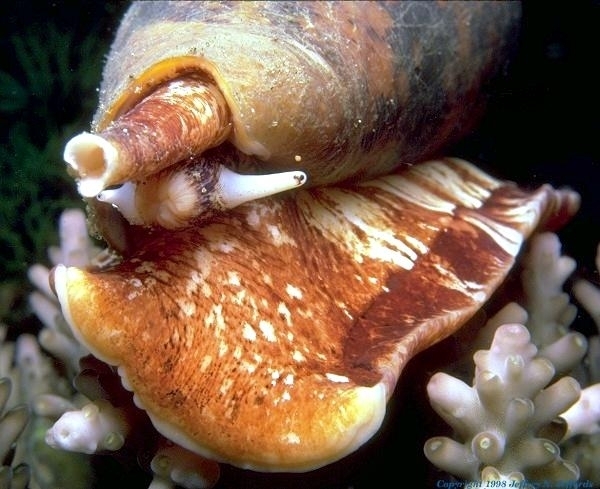 For starters, it is a carnivorous animal that specifically hunts other mollusks. 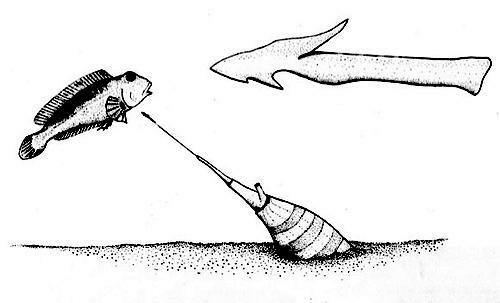 Secondly, it utilizes a specialized harpoon-shaped tooth to take down its prey. 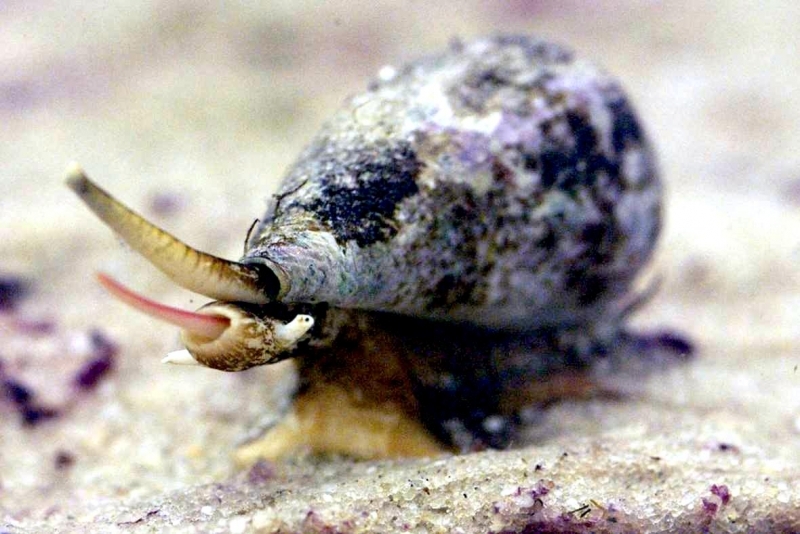 Thirdly, it combines a deadly venom secreted through this tooth to positively ensure that its prey cannot escape. 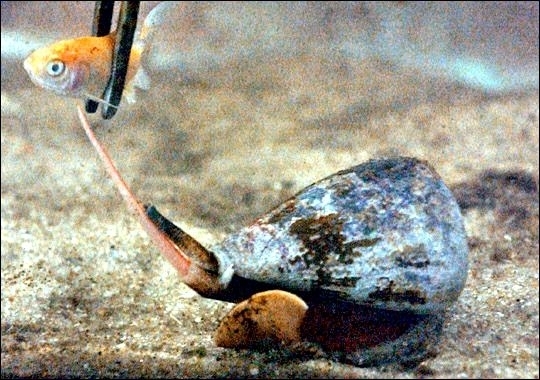 This technique of acquiring food distinguishes the Cone Snail from other classifications of snails. 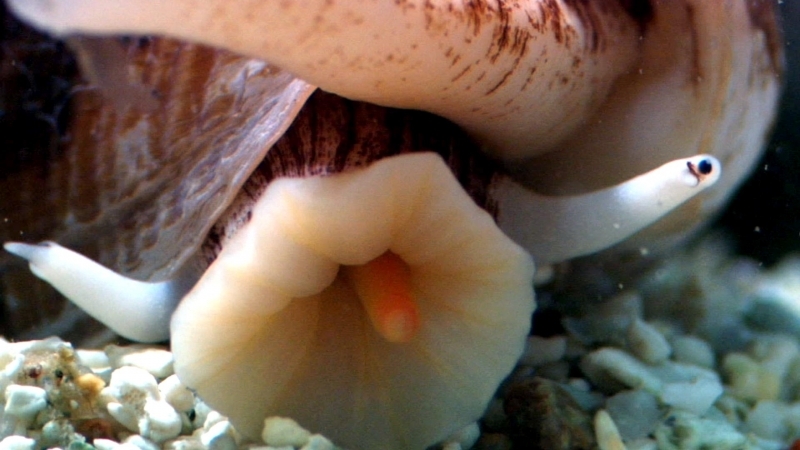 Once the prey has been poisoned, its muscles relax, it becomes flaccid and it is easy to remove from its shell. 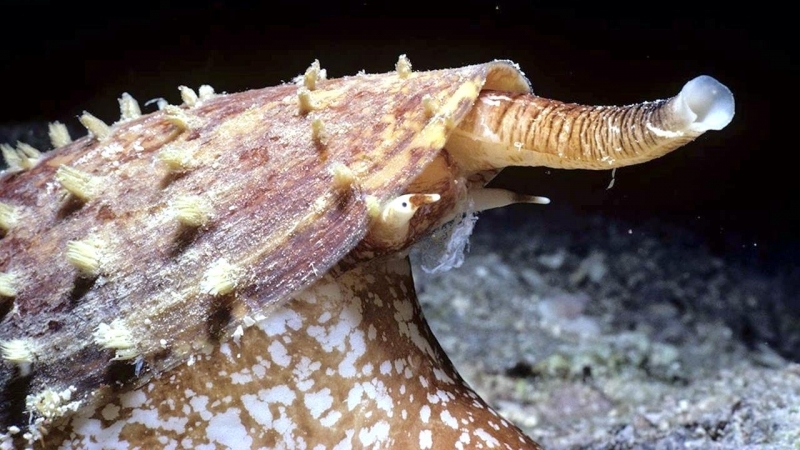 There are approximately 500 known species in the genus Conus and each have their own distinct venom. 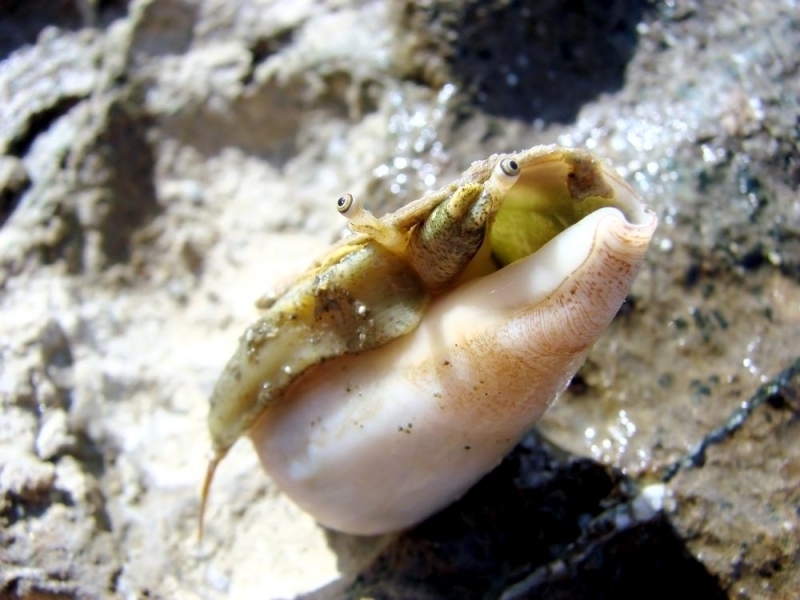 These toxins are aptly named conotoxins. 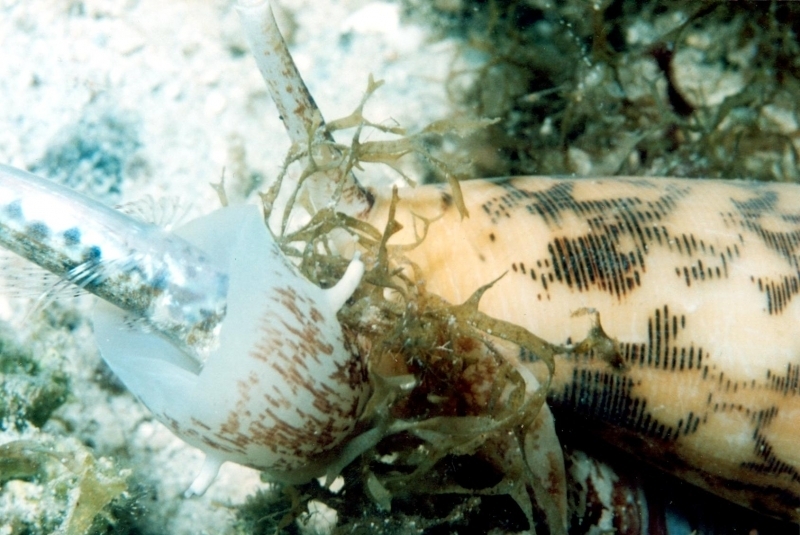 Conotoxins are small, structured peptide toxins. 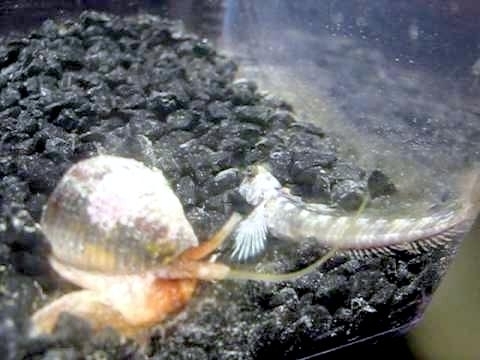 This means they are bonded by peptide bonds, which are bonds between the carboxylic end of 1 amino acid to the amine end of another. 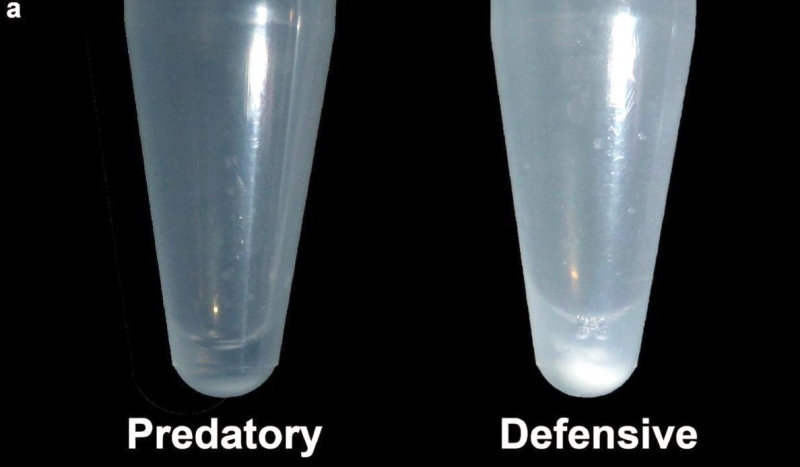 These peptides work by targeting and blocking ion channels of either the voltage-gated or ligand-gated class. 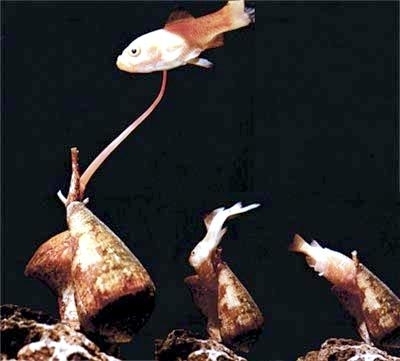 These ion channels are where action potentials in neurons are created. 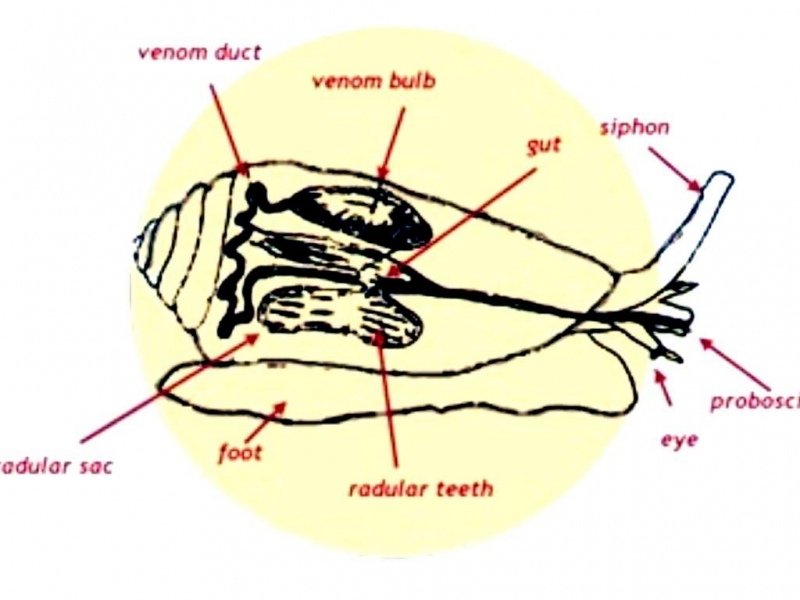 Therefore, if no ions can get through to the neuron, no action potentials can be made and sent to other neurons and the prey organism is paralyzed. 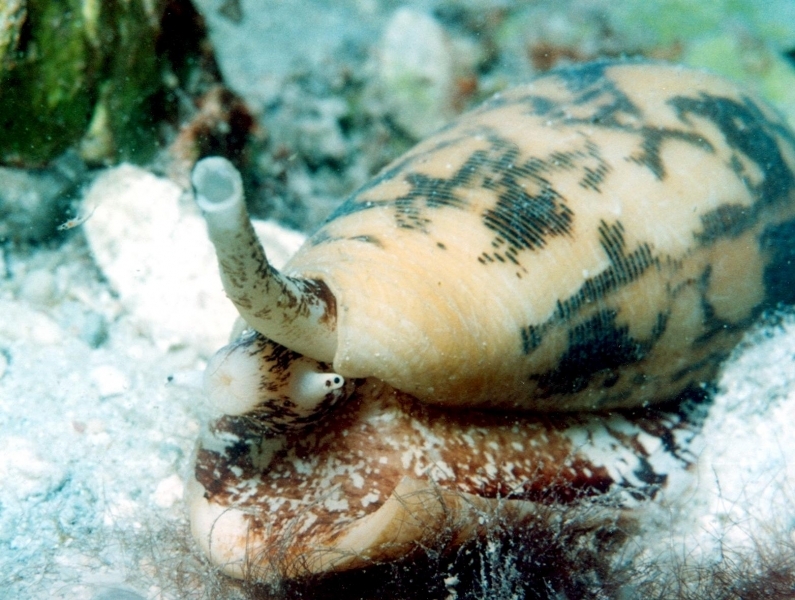 It is most likely that different Cone Snail members target different specific ion channels, depending on the animals they feed on.